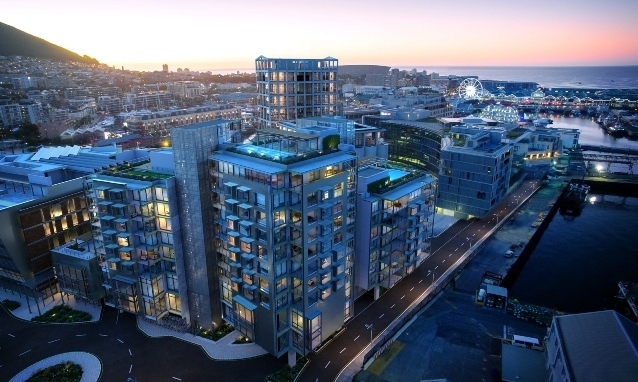 The five ratings bring to 12 the number of Green Star ratings awarded to various buildings at the V&A Waterfront, elevating the precinct still further as a benchmark for environmentally responsible development. Speaking at a plaque handover ceremony held at The Watershed on Thursday, 15 March, Manfred Braune, Executive Director and Chief Technical Officer of the GBCSA said: “GBCSA congratulates the V&A Waterfront and the professionals involved with these buildings on this fantastic achievement, and making the V&A Waterfront one of the greenest precincts on the continent. The V&A precinct attests to the power of long-term planning and how everyone can be brought along through gradual changes. It is a beacon of future possibilities”. 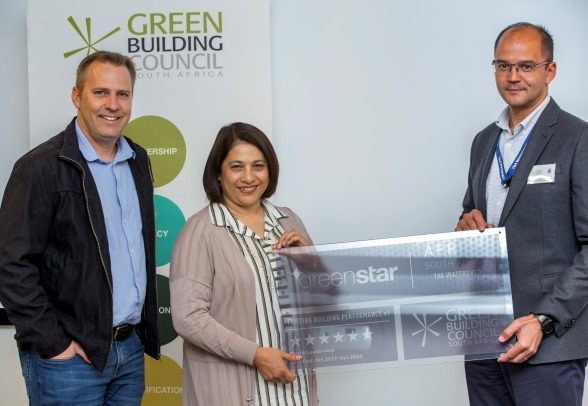 Two 4-star Green Star – Existing Building Performance v1 ratings were also awarded for the West Quay Offices on Port Road and the Granger Bay Court offices on Beach Road. 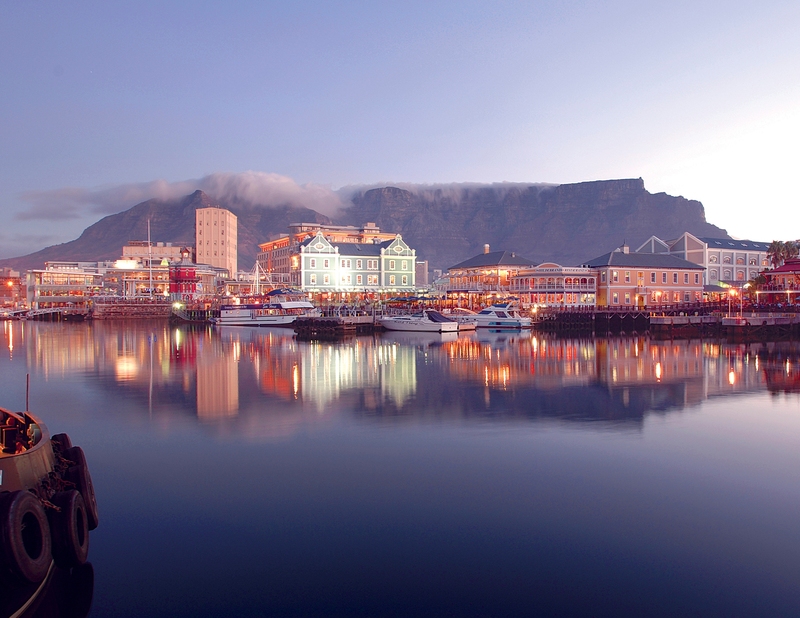 “Our buildings are an important asset to the V&A Waterfront and we take pride in preserving our natural environment. With this in mind, we had produced an energy model for our new developments, which includes No. 5 and No. 6 Silos, that uses the district sea water cooling plant to heat and cool the building with a renewable energy source, allowing us to save energy by 65% when compared to other buildings. This translates into a significant reduction in our environmental footprint by using less water and drawing less power from the grid”. Housing offices for PwC and Werkmans Attorneys in the newly opened Silo District, No. 5 Silo received the 6-star rating in the ‘As Built’ category, which recognises buildings that not only incorporate sustainable principles in their design but can also offer proof that these plans have been constructed in accordance with the original design. 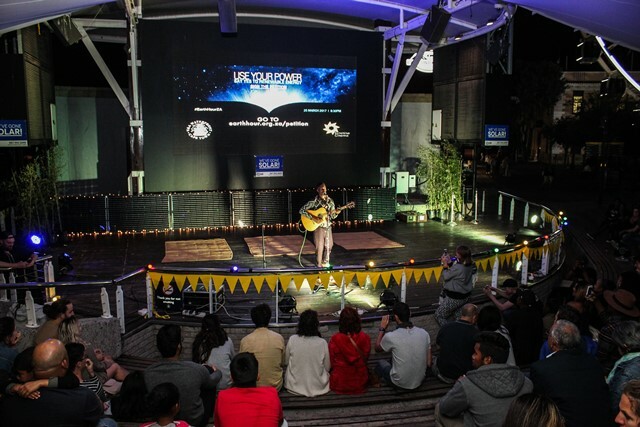 The GBCSA acknowledged the Watershed’s initiatives to enhance energy efficiency, minimise greenhouse gas emissions, undertake operations and maintenance to improve the overall environmental footprint of the building in operation, by awarding it a 6-star Green Star Rating – Existing Building Performance v1. All principles considered in the ratings are subjected to rigorous testing, and achieving the certification is benchmarked as ‘World Leadership’ in environmental sustainability. 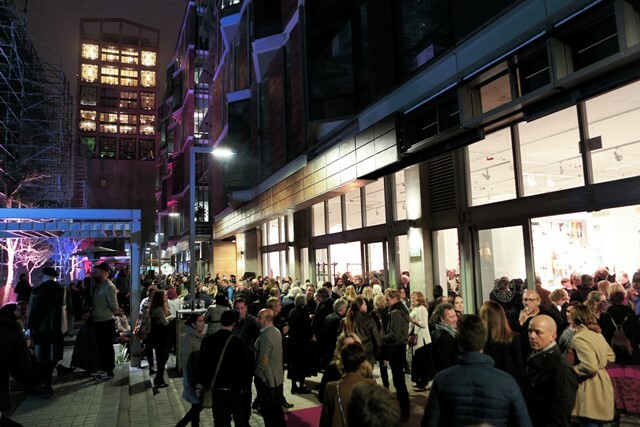 “The Watershed, has emerged as our flagship enterprise development space with more than 55% of the space dedicated to small business, 234 small business employing over 1 000 people in a building that uses low energy and has a higher occupant satisfaction with regard to thermal and lighting comfort,” said Green. The newly completed No. 6 Silo is home to the new Radisson Red Hotel overlooking the reimagined Zeitz Museum of Contemporary Art Africa (MOCAA) in the Silo District. The building, which was awarded a 5-atar Green Star – Custom Hotel Design rating, consists of a ground floor reception with welcome areas, event and meeting spaces and a public restaurant. The first floor houses hotel operations, while floors two to eight house guest bedrooms. The gym, lounge bar and pool deck with panoramic views are located at roof level. The West Quay Offices in Port Road and the Granger Bay Court on Beach Road were recently refurbished to make them more energy efficient and sustainable, allowing the operational performance of the building to be enhanced. Both buildings received 4-star Green Star – Existing Building Performance v1 ratings. The Green Star rating is a points-based green building rating system that evaluates whether the building incorporates global best practice in sustainability, and allocates points across nine categories including management, energy, innovation and water to name a few. 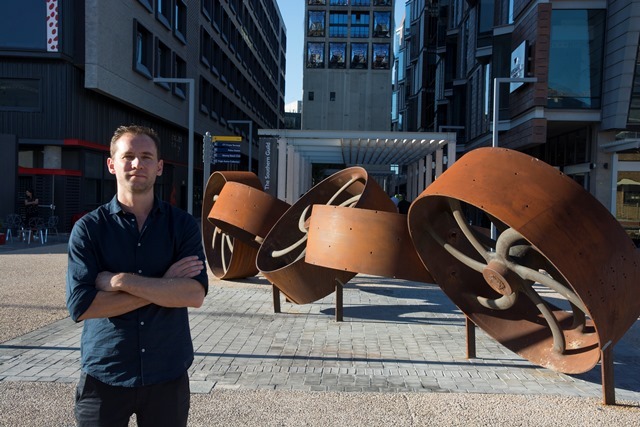 The five buildings form part of the V&A Waterfront’s ongoing environmental programme to promote green business practices as a strategic focus point throughout the property. The programme has achieved electricity savings of 35%, a 25% reduction in water consumption (using 2009 as a baseline), and 50% waste recycling. In addition, by implementing appropriate systems, the V&A has actively reduced greenhouse gas emissions associated with operational activities and increased awareness about environmental management among staff, tenants and visitors. the buildings make use of paints, flooring, adhesives and sealants without toxic emissions, and tenants are all encouraged to do the same. public and community facilities are provided by way of the public boulevard and precinct area; and to improve the place-making and communal benefit of the project. the Watershed has access to public transport, with a MyCiTi bus stop directly outside the building. There are also prominent cyclist and motorcycle parking areas around the building, and safe pedestrian paths to adjacent amenities and communities. As a testament to the success of these initiatives, surveys in the building show that virtually all retail staff make use of alternative transport to single-occupancy cars. an Independent Commissioning Agent was appointed to manage the commissioning and tuning process which ensures optimum operations of the building. the building boasts a solar energy system of 128 kWp, providing for the energy consumption by tenants. the building has achieved almost a 50% improvement in energy consumed, over a typical building of the same size. This is largely thanks to efficient habits of tenants, energy efficiency and renewable energy initiatives implemented. The consumption in 2017 was also 15% lower than the year before.